Ahead of the United States' Fourth of July holiday, her Majesty Queen Elizabeth II announced that she was revoking America's independence "for their own good." "They had a good go of it, alright. But dem Yanks need to be taught a right ol lesson, boyo," said the Queen as she sat on her veranda. The Queen said she would be open to granting the United States independence once again "if they get their act together," but wasn't hopeful. 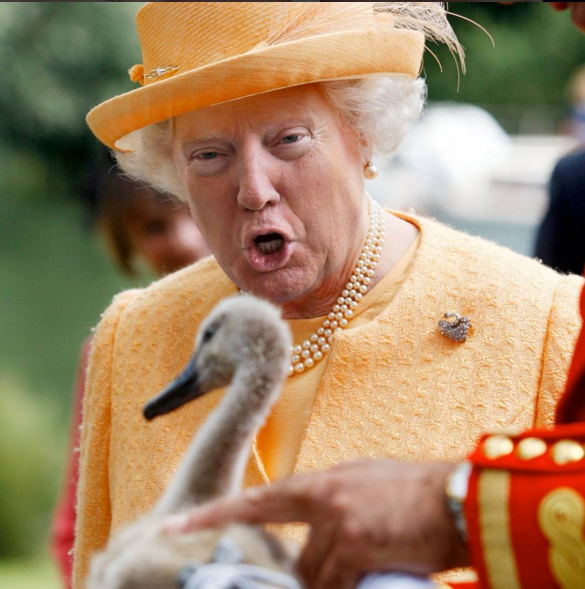 The Queens' message has been met with outrage from most Americans who feel her statement does not recognize that the United States is the best country in the world. "We're the best country in the world," said all of them who, when asked to elaborate said "we just are." Meanwhile, British citizens are themselves angered by the perceived hipocracy of England taking a moral high ground over the United States following last year's Brexit vote and the country's inability to reunite Oasis at the One Love Manchester concert. "We're not doing too much better for ourselves, mum" said Labor activist Liam Ewan. British imperial rule will become effective on Tuesday when all Americans will be forced to drive on the wrong side of the road, pretend to like The Streets, and refer to middle easterners as "asians."